GET SPECIAL PRICING WHEN ITS RELEASED! 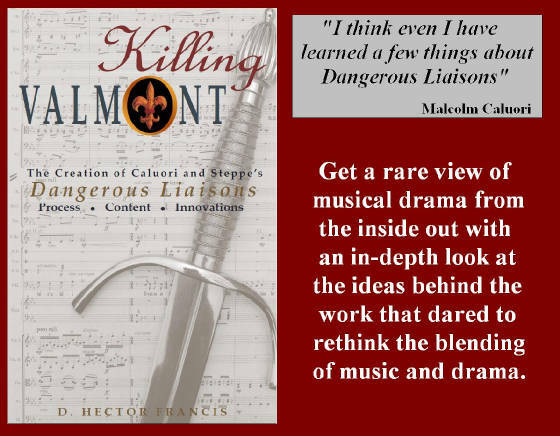 Killing Valmont - The Creation of Caluori and Steppe's Dangerous Liaisons: Process, Content and Innovations is currently in prepublication. Get notification on special pricing when the book is released, by clicking below. You'll also have free access to the Privy. You'll know early about upcoming releases, and could get pre-release sneak peaks (like this one), invitations to review new releases, exclusive insider offers, even get stuff for free. See you on the other side! NOTICE: You are about to access content that is password protected. If you don't already have a login, you can create one free with this link. click here now to preview the book, and get special pricing on its release! You may have a chance to get this book free when it comes out!